Reduced Labor & Improved Worker Safety. 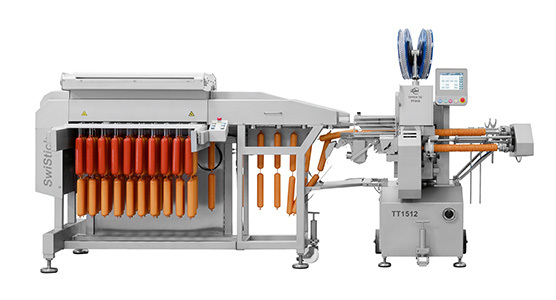 Fully automated clipping and hanging of sausage smoking sticks at speeds up to 100 loops per minute. Enjoy reduced labor costs with a single operator.